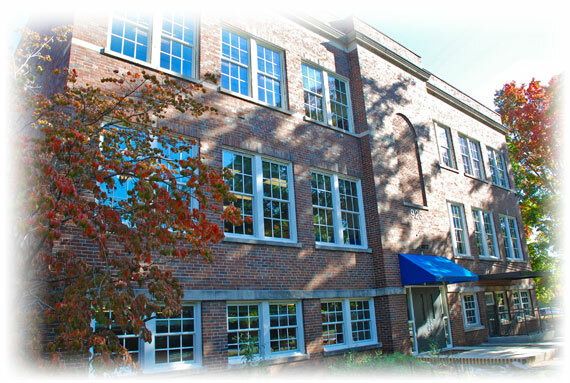 Renovation projects include replacing windows and doors in already finished buildings. It also includes rebuilding or remodeling projects where windows and doors may be added to a structure. These projects can vary greatly in their installation requirements. Replacement products may be the best solution if you are looking to simply replace an existing window or door. However, frame tear-outs and reframing projects may take advantage of other installation options available with our standard product frames. The main characteristic of Replacement windows and doors is that their frame is designed to fit into an existing window or door opening with minimal disturbance to the existing wall and trim around the product. These replacement units are often referred to as “Pocket” or “insert” units. Basically, part of the existing window or door is removed, leaving the surrounding frame and the new unit fits into the remaining frame. Sun offers a replacement or pocket/insert frame for most of our products so that they may be used in replacement applications. One alternative to full replacement windows is our double hung Sash Pack. 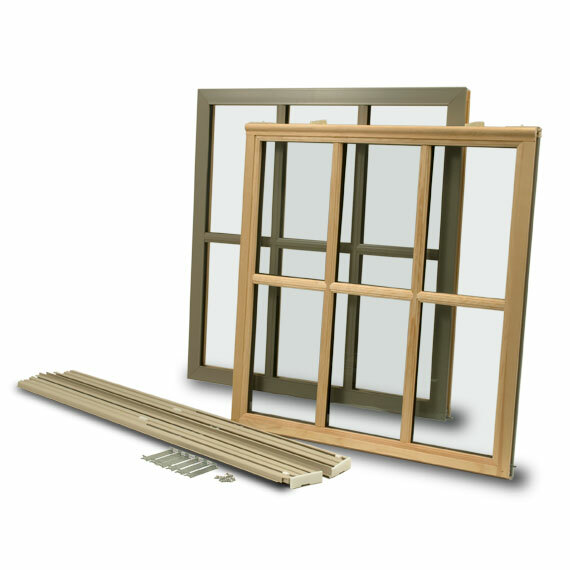 When replacing double hung windows, a Sash Pack can often offer an even easier method of upgrading your windows. 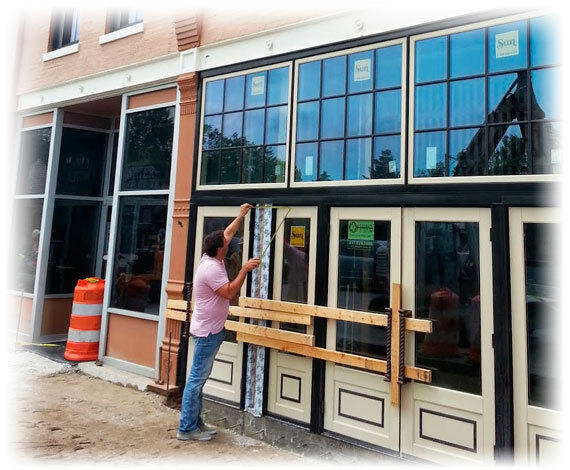 Essentially, a Sash Pack, replaces the Jamb/Balance system and the sashes of an old double hung window with new ones. Check out our Sash Pack page for more information. This method of replacing a window or door is more invasive but the end result is a completely new, more energy efficient unit. 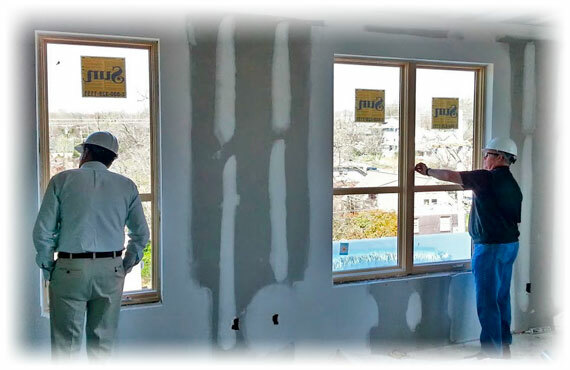 The process requires the removal of the existing window or door along with the trim around the product. The entire old unit is removed, including the frame, and a new unit is installed in its place. This type of replacement is attractive if the frame of the old unit is damaged or displays rotting or decomposition. It is also beneficial in applications where the old product was not insulated around the frame. This was common with older wood windows. Air easily infiltrates around the window and the trim and causes discomfort as well as poor energy efficiency. Frame Tear-Outs allow you to correct this condition. Our standard new construction products can often meet the needs of Frame Tear-Out applications. Sometimes, Remodeling projects involve adding walls or moving window or door locations. Usually, these conditions can take advantage of our standard new construction products since the framing will be new.